At Oceans Medical Staffing we are proud to have partnered with premiere HealthCare Staffing Recruiters with 17 + years of Healthcare Staffing, Recruiting and Marketing experience. 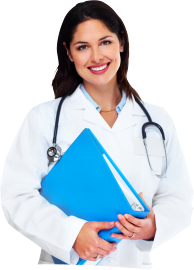 Your Healthcare Recruiters have extensive Practice Management experience in a Physician’s Practice/Hospital Setting which allows each one to utilize their Healthcare background to assist Oceans Medical Staffing to meet today’s medical needs. Your Healthcare Staffing Specialist instinctively recognizes the skills required to maintain an efficient medical practice. Our philosophy is to thoroughly understand our client’s business culture and expectations. Providing staffing solutions and outstanding follow-up allows our clients to achieve a high level of patient care while increasing profitability.